An initiative conceptualised by Indian goverment’s Department of Electronics and Information Technology to enable delivery of public services electronically through the mobile platform has been awarded a United Nations public service award. 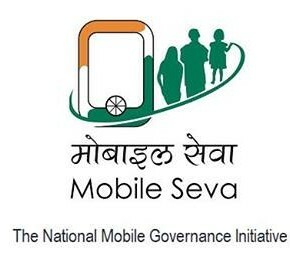 ‘Mobile Seva’, a nationwide initiative conceptualized, funded and implemented by the Department of Electronics and Information Technology (DeitY), is among the second place winners of the 2014 UN Public Service Awards, along with Bahrain, Brazil, Cameroon, Republic of Korea and Spain. The vision of Mobile Seva is to mainstream mobile governance in India as a new paradigm for e-delivery of public services through mobile devices. It leverages the massive penetration of mobile phones in India to substantially enhance access to electronic services, especially in the rural areas. It benefits the poor, illiterate, disabled, elderly, and the women in accessing e-governance services as access to mobile phones is much higher in these segments of the population as compared to access to the internet. The main objectives of the initiative are to be a one-stop solution for all mobile-based public service delivery needs through mobile-based channels, including SMS, voice/Integrated Voice Response System and mobile applications, a statement said. UN Awards and Forum celebrate public service initiatives innovating governance for sustainable development and people’s well-being. “The annual observance of Public Service Day highlights the invaluable contributions of public servants and administrators in our efforts to build a better world for all,” UN Secretary General Ban Ki-moon said in a statement. “At a time of complex and interdependent global challenges, effective governance and efficient public administration are central to meeting our development goals. They will also be vital for implementing the post-2015 development agenda,” Ban said. “These winning institutions demonstrate the principles that support transparent, accountable and collaborative governance. They have explored new pathways to enhance the role of responsive and accountable governance for sustainable development,” said Under-Secretary-General for Economic and Social Affairs Wu Hongbo. Some of this year’s winning projects involve improving education, increasing access to potable water in rural areas, improving access to and the quality of health care, integrating government data including social security systems, enhancing transparency through increased access to information for citizens and reducing infant mortality rate. The first place winners are Austria, Bahrain, Brazil, Morocco, Oman, Republic of Korea, Singapore, South Africa, Thailand, Turkey, Uruguay. Winners from 14 countries will be honoured for their innovative projects in fighting poverty and promoting sustainable development at a ceremony on June 26 in Seoul. The forum and awards are hosted by the Government of the Republic of Korea and organized by the UN Department of Economic and Social Affairs (DESA) in partnership with the United Nations Entity for Gender Equality and the Empowerment of Women (UN Women) and the UNDP Global Centre for Public Service Excellence. In 2003, the UN General Assembly designated June 23 as the UN Public Service Day to celebrate the value and virtue of service to the community.